Always wanted an exotic pet? 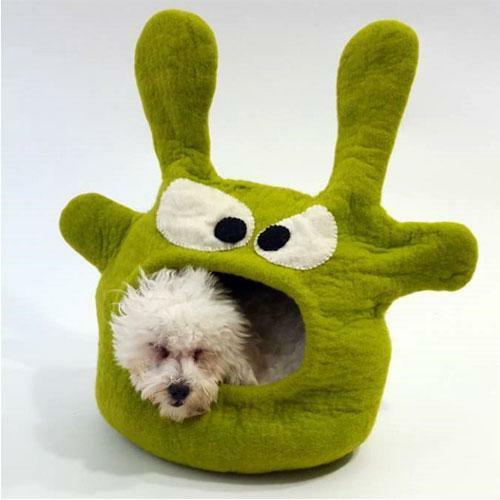 Your pet will love hanging out in the belly of this beast. Approximately 16_ wide, 10_ depth and 10_ high, our monster style is suited for average to smaller beasties, up to 12 lbs. Our 11 lb poodle/ bichon Tashi is pictured in the bed.